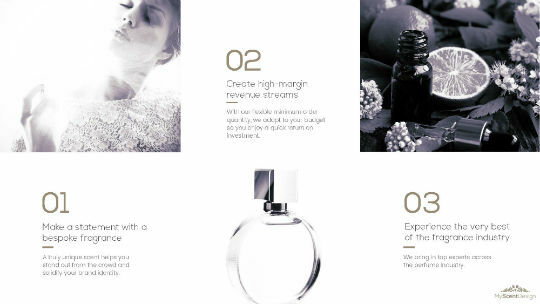 MyScentDesign creates, designs and manufactures bespoke fragrances for exclusive brands and individuals. 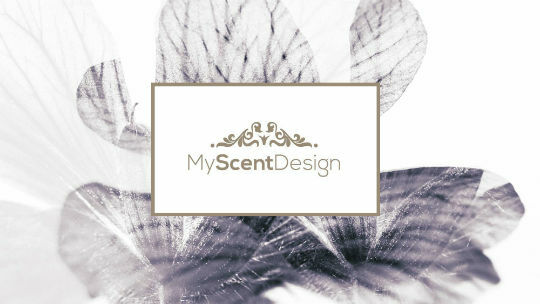 MyScentDesign creates unique scents for brands and individuals. 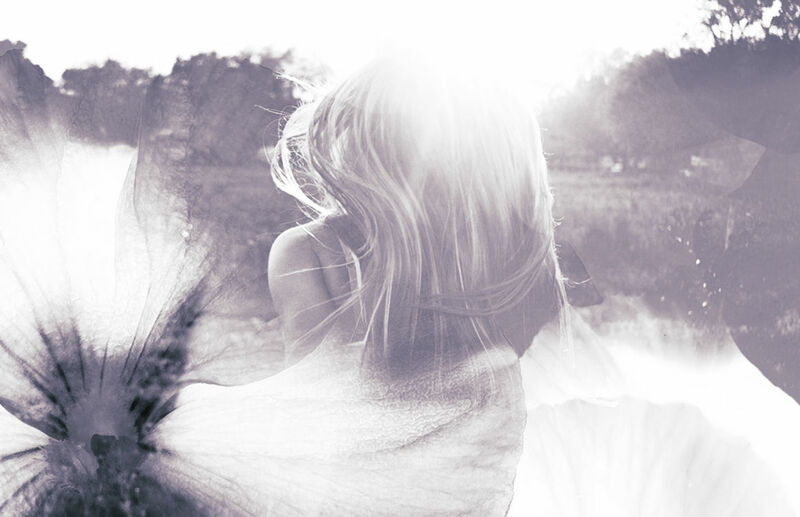 They translate an identity into a perfume that people will come to recognise. 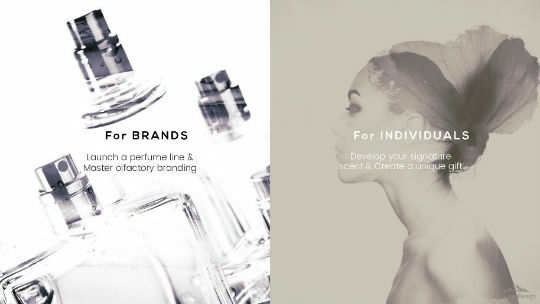 Using world-class techniques and premium ingredients, MyScentDesign elaborates rich and complex personal perfumes to create something people connect with at a deep emotional level. 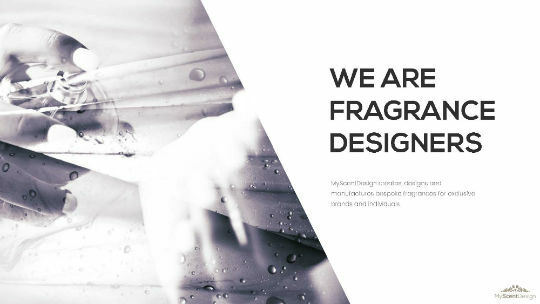 MyScentDesign was lacking marketing tools consistent with the premium positioning of their products. Their sales team had to create new decks for each client meeting resulting in a lack of brand recognition and homogeneity. mOOnshot digital worked with the senior leadership team to define clear brand guidelines for the product. 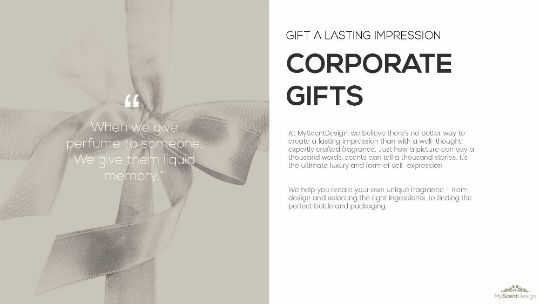 We then created presentation templates and a unified system to enable the sales organisation to rapidly customise a deck to their needs. 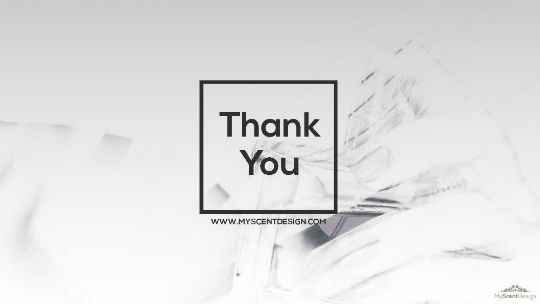 MyScentDesign has been able to close new deals with more confidence and secure larger partnerships thanks to a robust and well-established brand system. Their sales organisation is also more efficient by spending more time with their clients and less time creating presentations. unified design materials to drive sales.